Marcin Białas - "Organizm nazwany miastem"
Otwarcie wystawy 24 kwietnia, godzina 18.00. Wystawa została zorganizowana przez Fundację Im. Mariusza Kazany oraz Ambasady Polskiej w Dubline w ramach nagrody na II Międzynarodowym Triennale Sztuk Graficznych im. Tadeusza Kulisiewicza IMPRINT w Warszawie. 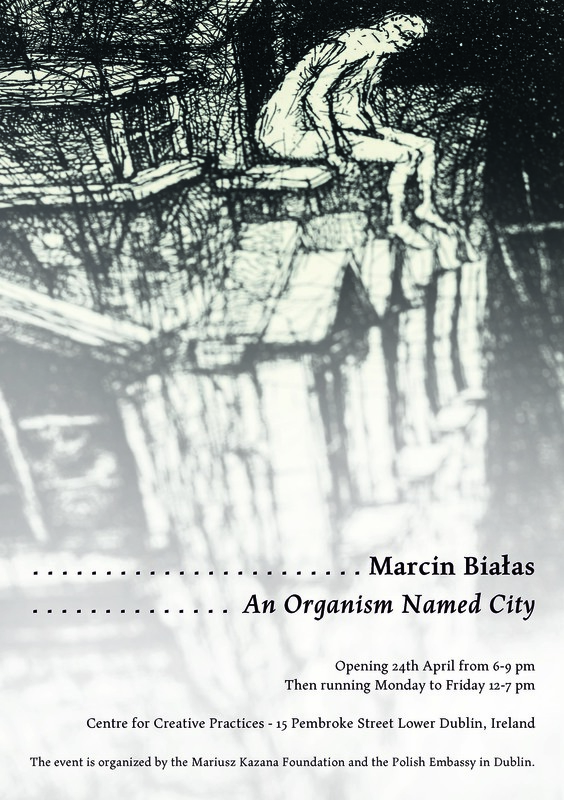 Marcin Bialas is a Polish artist who’s specialized in etchings and drawings in black an white. Among his large production, a recurring theme is dissected buildings and surreal constructions, such as infinite staircases and labyrinthine interiors, an atemporal combination of G.B. 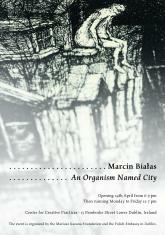 Piranesi and Brodsky/Utkin prints. The structures seem unfinished, yet already in ruin, able to plunge the viewer into an uncomfortable feeling. Somewhere between nightmares and theatrical settings, Marcin Bialas’ retro drawings explore the dramatic potential of different projections and points of view.